Shazam has been a popular app for smartphone users for several years now, but recently I have noticed the Shazam icon pop up in several television commercials. When the Shazam logo appears in the corner of the screen, viewers can use their smartphone to be redirected to the advertiser’s site for more information. This is very similar to the way advertisers have been able to take advantage of QR code technology. Since we live in a multi-screen world, this seems like a very convenient way to deliver more advertising content to potential consumers, but I have often wondered, are these means successful or does every advertiser have one just because every other advertiser does? From the perspective of someone working in the advertising field, this seems like a simple and inexpensive way to deliver more content to potential consumers. But off the clock, I have never seen an advertisement and felt the need to pull out my smart phone, open Shazam/QR Reader, scan the audio/code and view more content. I am more of an “I’ll Google that when I get home” kind of guy. So does this sort of coding produce higher volumes of traffic? Brand interaction – 68% of people who tagged the ad went on to further engage with the brand. Word of Mouth / Social Activity – 55% of people who tagged the ad talked about the brand with others. Bookmarking for later use – 55% of the people who used Shazam to tag the ad cited that one of the reasons they did so was to save it for later. So it looks like coded messaging has proven to be a successful means of generating more branding opportunities. I feel that the key to a successful coding campaign would be to get the ad in front of the right people. If advertisers are getting their coded message in front of the right people, there would be a higher chance that they would choose to participate. Can You Blur a Brand? Marketing never stops, does it? Sitting down this past weekend to watch some TV, my marketing brain immediately switched into gear when a popular reality show showcased some beverage products in one scene. Normally, this would not catch my eye, as the show is essentially about drinking, but my eyes couldn’t help but be drawn to looking at the bottles. 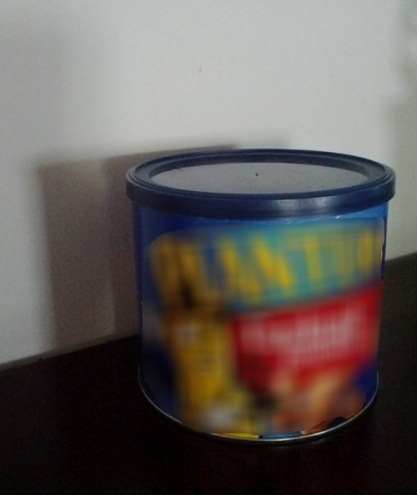 The interesting thing was that the products were completely censored with a blur effect! Without much thought, though, I clearly recognized the bottles as the iconic Snapple iced tea beverage, even through the heavy censoring blur. How did I recognize these fuzzy images as a particular iced tea brand? Am I a superhero? Do I have X-ray vision? No, Snapple just has great branding. Its brand was able to “defeat” the TV censor’s blur, and convey its message to me, the viewer. There and then, I concluded that you can’t blur the brand (or the good ones at least). Marketing 101 tells us that the brand is everything. But, it’s also been said before many times that a brand is more than a name, and my point is not to re-hash those sentiments. What interested me this weekend, however, was the apparent power of a brand to literally cut through a TV censor’s digital blurring effect. No, I couldn’t read the name Snapple on the bottles as the reality stars sat down for breakfast, yet, somehow the brand came through. What made it so powerful? 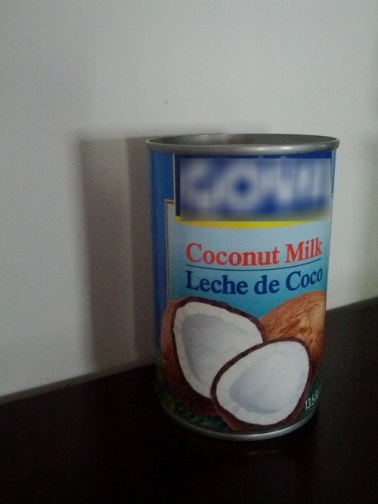 Just as a fun demonstration, I took some snapshots of household food items and added a blur box around their labeling, just as you might see on a reality TV show. My guess is that a majority of you can deduce what most of these items are, if not all of them, right off the bat. What gave it away for you? Was it the colors? The fonts? The images? The shapes of the containers? The true power of all the brands pictured is their ability to create one cohesive “being” that is able to be recognized quickly and easily. 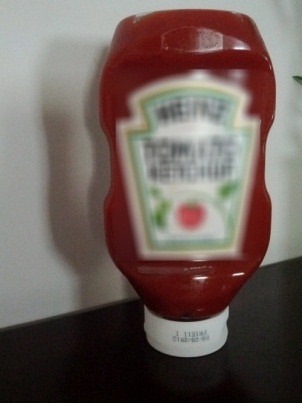 Who wouldn’t recognize the iconic ketchup bottle of Heinz? Or, what about the bold and simple white letters of GOYA? 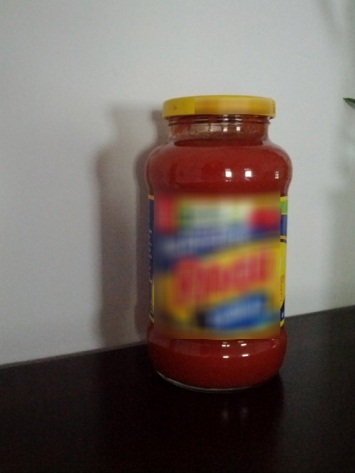 Even the Ragu pasta sauce bottle is somewhat iconic. All it takes is the sight of a blue border running across the top of a computer screen for me to realize that someone is browsing Facebook. I don’t need to see the details, and I don’t need to know the context. These brands just maintain that much power because all of the core, identifying elements come together so perfectly. So, if a brand is defined by the sum of all its different parts (logo, text, colors, design, etc. ), it is clear that companies should be asking themselves, “Does our brand pass the blur test?” Whether literally or metaphorically “blurred,” when it comes down to it, only the strongest brands will pass this test in the eyes of the consumer. Passing the test is a matter of standing out. These days, there’s a lot that can “blur” our brands. I’m not just talking about TV censors. People are exposed to thousands of advertising messages each day, and the countless messages create a “haze” of their own. In order to combat this haze, every brand needs a clear differentiating factor. Maybe your packaging is extremely unique (Coke, Fiji Water, VOSS Water). Maybe you are uniquely reaching fans by marketing on Facebook extremely well. Or, maybe your brand’s most powerful asset is word-of-mouth discussion and skepticism. Whatever it is, every brand needs a hook. But a differentiating hook, alone, is not enough to cut through the haze. The hook has to support the entire brand entity and all the separate components that make the brand. Brands that are able to understand this and play to their strengths are the ones you’ll see through the haze. They’ll pass the blur test. Stripped of context, thrown into a sea of messages, or blurred to viewers, does your brand have the power to stand out? Does your brand pass the blur test? We all remember the days of coloring handmade valentine’s or purchasing a box of My Little Pony’s or Teenage Mutant Ninja Turtles cards to hand out in class. When we get older sometimes we forget just how special those little notes made us feel. Facebook is launching a fun application based on Heineken’s second global film “The Date” where you can actually serenade your sweetie. Advertising agency Wieden+Kennedy Amsterdam has co-developed this app where customers can create a personalized song in just a few clicks of your mouse. In similarity to the old days of writing a check “Yes” or “No” note for a date, the waiting game will be much in the same. After creating your song it’s all about the waiting game. You will submit your song to their Facebook wall and wait to see if your crush has said yes or no to your date offer. Senior Director Cyril Charzat of Global Heineken Brand stated, “‘The Serenade’ is designed to take some of the stress out of asking a partner to go on a date. It’s fun, interactive and guaranteed to make an impression” – This application is part of the brand’s ‘Open your World’ global campaign which celebrates aspirational behaviors among adult consumers. February 9th tune in to “Serenade Live,” an 8-hour YouTube event where individuals all over the world will get a chance to serenade there sweethearts live in the internet. With Social Media constantly evolving, is this really the way of the future? Or are you still a sucker for a phone call or a face-to-face request? For more information on the author you can follow her on Twitter at @_vikster or on her blog at victoriasalv.wordpress.com.